The story begins by explaining the Arthur Jermyn went down to the water and set himself afire after exploring the object of a box that had been delivered. The story then steps back and explains the family legacy of which Jermyn belongs. His great-great-great grandfather, Sir Wade Jermyn was among the first to explore the Congo and thus, many of the men in his family followed along this line. In his adventures, Wade reportedly married a Portuguese trader's daughter who appeared to be quick sickly and remained secluded during any time in England. However, she does accompany him on his expeditions into the Congo and eventually dies there. However, they do conceive a boy that Wade brings home and raises as his own. Upon his return from the last voyage, a madness emerges from Wade that eventually land him in a madhouse to which he is partially thankful for. His son, Philip also proves strange and after marrying and producing an heir, Robert, disappears into Congo. Robert takes up studying the artifacts of his grandfather (Wade) from Africa. His obsession is only disrupted by three children, two of whom are never seen because of supposed deformities and the third son, Nevil, who runs away, gets married, has a child, and loses his wife. Meanwhile, Robert gets news from an explorer who tells him of a city of white apes in the Congo and other unknown details. After this meeting, Robert goes on a killing rampage, wherein he kills the explore and his son, before he was subdued. With Nevil dead, and Robert put away, Alfred, Nevil's son is the heir at four years old. When he grew up, Alfred eventually joined a circus and sought to train the circus ape, which eventually killed him. Alfred's son, Arthur was raised by his mother in the Jermyn household. After his mother's death, he too becomes intrigued by the Congo and sells a part of his estate to make it there. Once there, the locals confirm the different stories he had heard about this family and the place over the years, including the city of apes. They even tell of a hybrid creature of an ape-princess and a white god. Later, Arthur comes across the city that Wade had said to have discovered but did not discover much else. He returned home to wait for additional relics and objects to be sent to him by natives and other explorers. However, one day, he does receive a box that Arthur opens and discovers that all his blood line between himself and Wade were the offspring of an ape and his Wade. It's at this point, he sets himself on fire. Overall, the story is well composed. 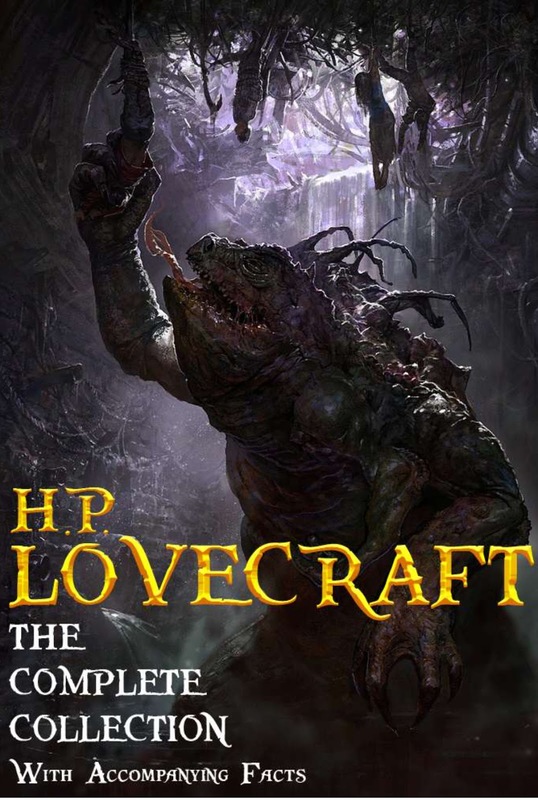 I began to assume that there was some kind of cross-breeding going on, once the story of a city of apes appeared but Lovecraft does well with giving the ending first and then winding the tale toward that end. I'm ambivalent about the actual content of the story--humans and apes in African mating--it laden with racial overtones, which is pretty common for Lovecraft and that idea that the only acceptable decision when one finds out that they are of mixed-breed is to utterly destroy one's self (or in Robert's case, kill one's family members) leaves a bad taste in my mouth.